Taylor Smith, who will be a senior this year at Washington High School, served as municipal court judge at Buckeye Girls State this summer. “The entire program is a non-partisan, non-political attempt to teach and inculcate in the youth of America a love of God and country,” according to the Girls State website. 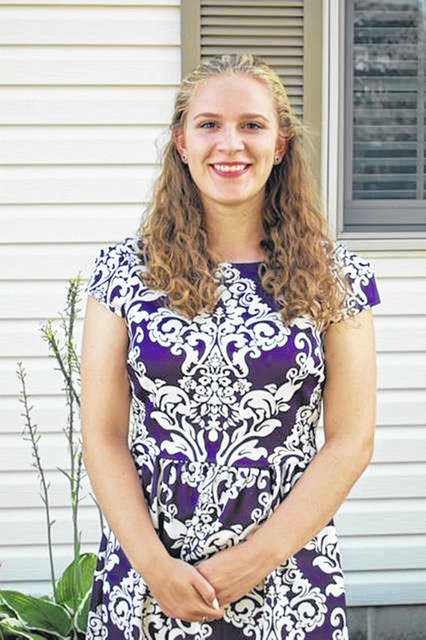 During her time at Buckeye Girls State, Smith learned about the inner workings of United States government. “This experience will prove valuable as Taylor pursues a major in political science with aspirations to continue her education onto law school where she intends to focus on civil liberties,” said her father, Shawn Smith. Smith was one of nearly 900 high school girls to participate in this government-in-action workshop, held at the University of Mount Union, sponsored by the Ohio American Legion Auxiliary. “The Girls State purpose is to: provide citizenship training for girls of high school age in every Department of the American Legion Auxiliary; afford them an opportunity to live together as self-governing citizens; and inform them about the duties, privileges, rights and responsibilities of American citizenship, in order that they may understand and participate in the functioning of their government,” according to the website. Locally, seven girls who will be seniors next school year were selected to attend Buckeye Girls State. They were: Khenadi Grubb, Tori Evans, and Meri Grace Carson from Miami Trace Local Schools, and Taylor Smith, Hailey Snyder, Hannah Haithcock and Grace Gerber from Washington Court House City Schools.